My attorney suggests I acquire boots. “Useful things. Cover the toes,” she says. 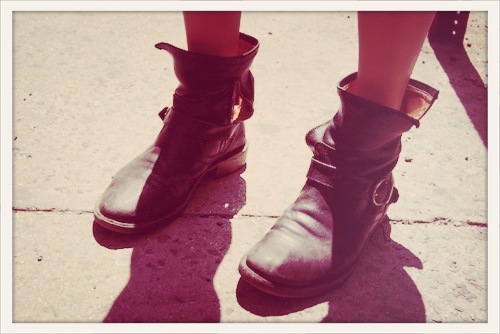 The dog days of summer saw much flaunting of chipped scarlet toe-nail polish and flip flop tan lines, but today winter is lurking in the wings of this threadbare theatre, crowbar at the ready. She has a point. It is a typical Sydney day, all flouncing clouds and majestic gestures. A worker’s skirt howls up around her ears as if intent on escape; a toddler bawls as his saliva-stained dog-eared bunny hits the deck and the traffic contorts and writhes indecently, a honking stack of metal and frustration. 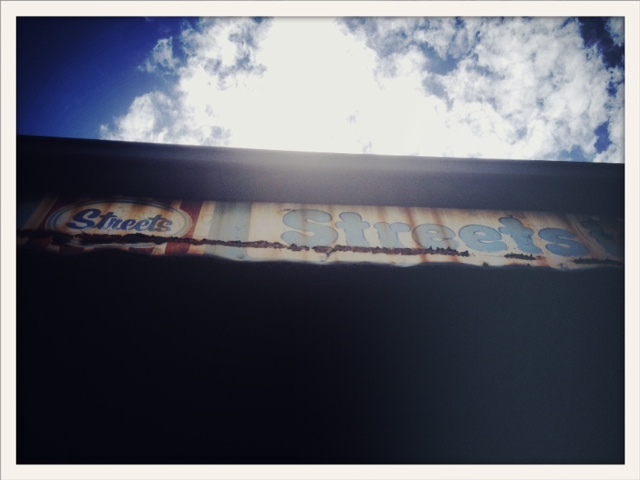 Clouds flash past sickeningly, a heady mix of burnt coffee and frustration is smeared through the air, and a rusted Streets ice-cream sign frets in its tired housing. Roger remains calm, an air of effusive gentility shrugged gently across his shoulders. 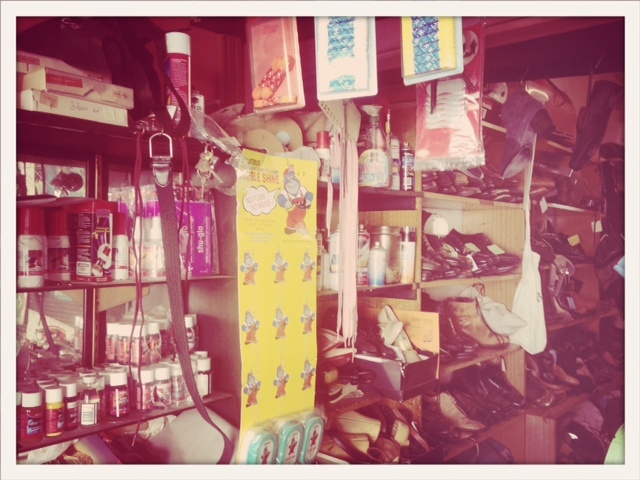 Behind his head a reassuring sign reiterates that I am in the right place, bowed by the weight of eight pairs of tatty boots, old friends in need of a little love. 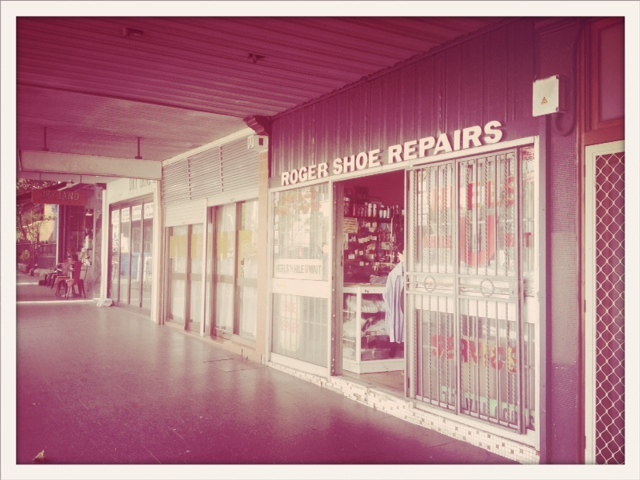 Roger has been here for 48 years. 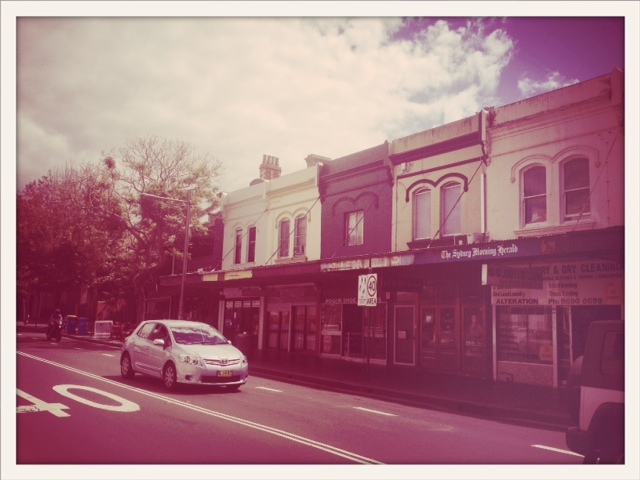 Right here in the heart of Redfern, without a care in the world. Obstreperous weather, traffic insurgency and the transgressions of tots bring on another beaming smile – he’s seen it all before, welcomes it even. Roger is in thrall to the vibrant life that this particular swarm of chaos signifies. Redfern is far from the warm scent of cedar and hash, sun-hot bricks and spilling souks of Lebanon. But that was a lifetime ago. And Roger quite likes the Asian tang of the Vietnamese hot bread shop, the oily dredge of run-off that courses through the gutters, and the smell of his own leather. 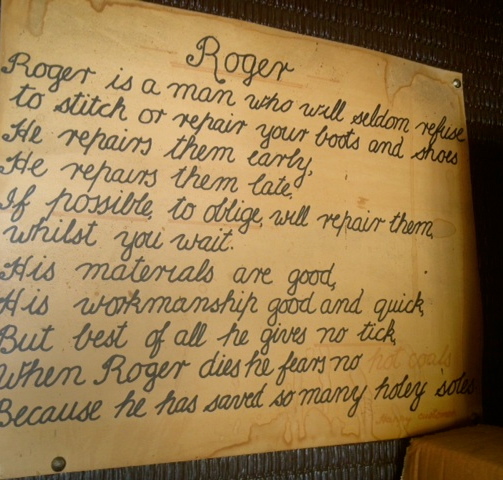 The faded ink and cursive high-school flair does little to detract from the message: despite his ‘no tick’ policy, spelt out in texta, Roger is an all-round good egg. 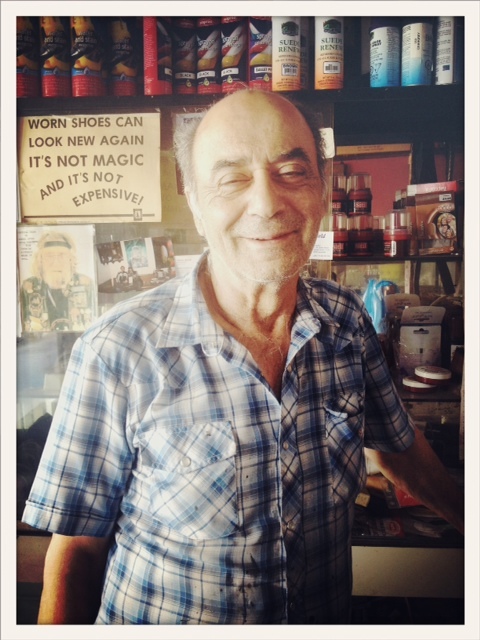 This entry was posted in Uncategorized and tagged leather, Lebanon, Redfern, Roger Shoe Repairs, security bars, shoe repair, shoes, souks, Streets ice-cream, Sydney, Vietnamese hot bread, winter by Babelfishing. Bookmark the permalink.